Enjoy sophisticated design in your interior with the Trigg copper wall planters from Umbra. 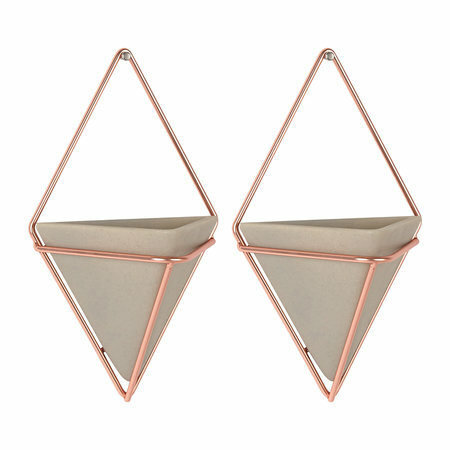 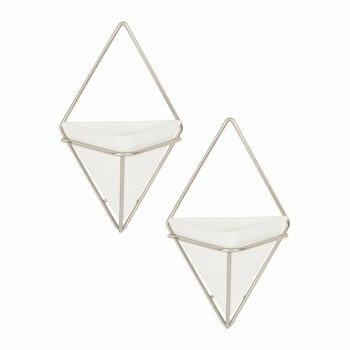 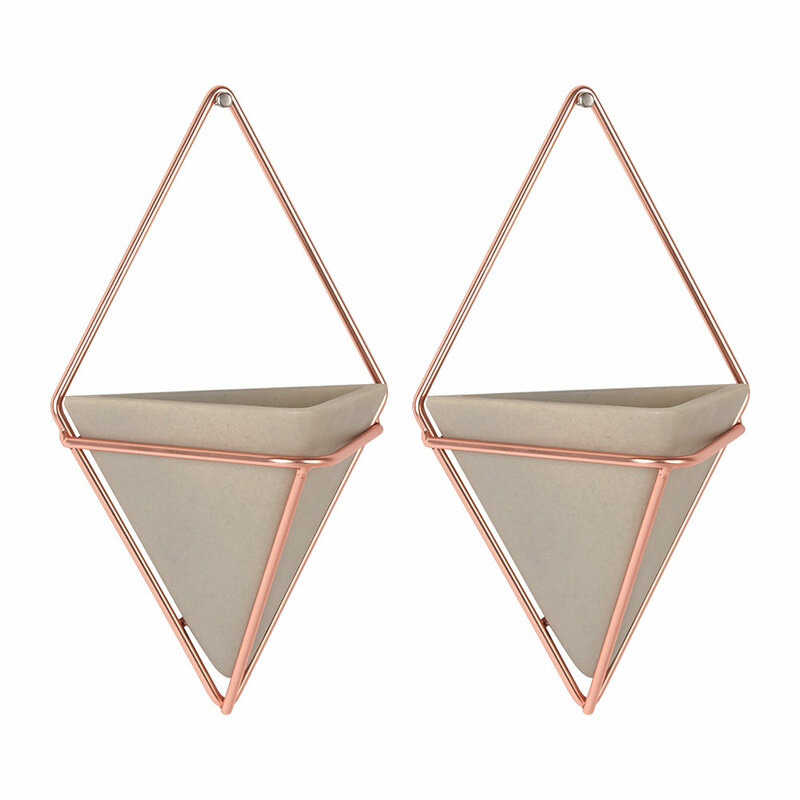 These two grey, resin vessels are framed by a copper wire frame to create a diamond shaped visual. 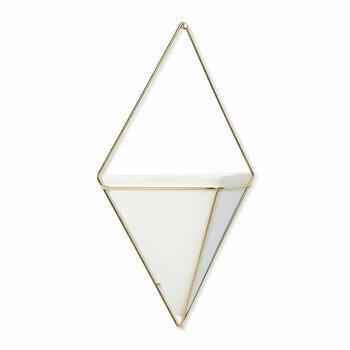 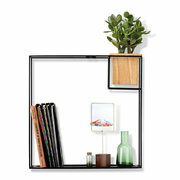 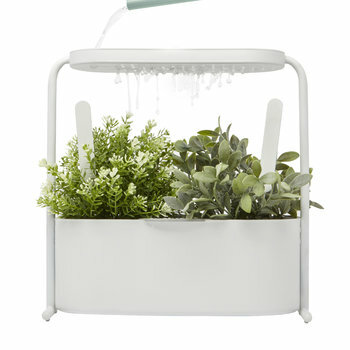 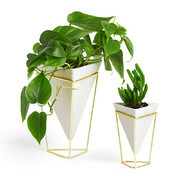 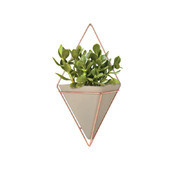 Use anywhere around the home as a wall planter or simply for storage of supplies. 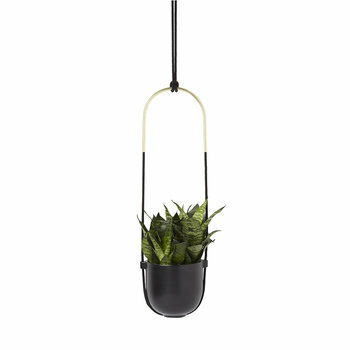 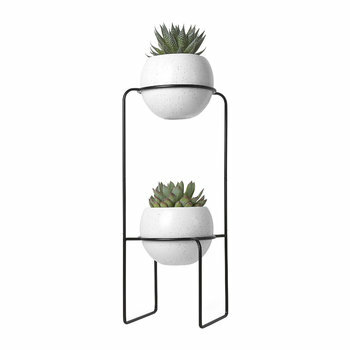 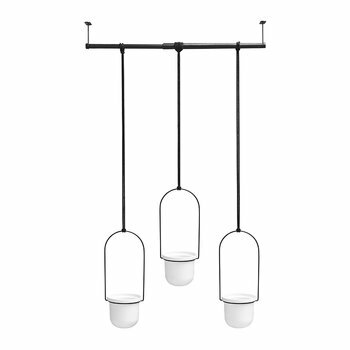 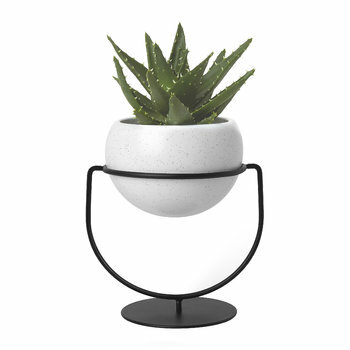 Additionally, arrange alongside the Trigg large wall planter in a variety of display compositions. 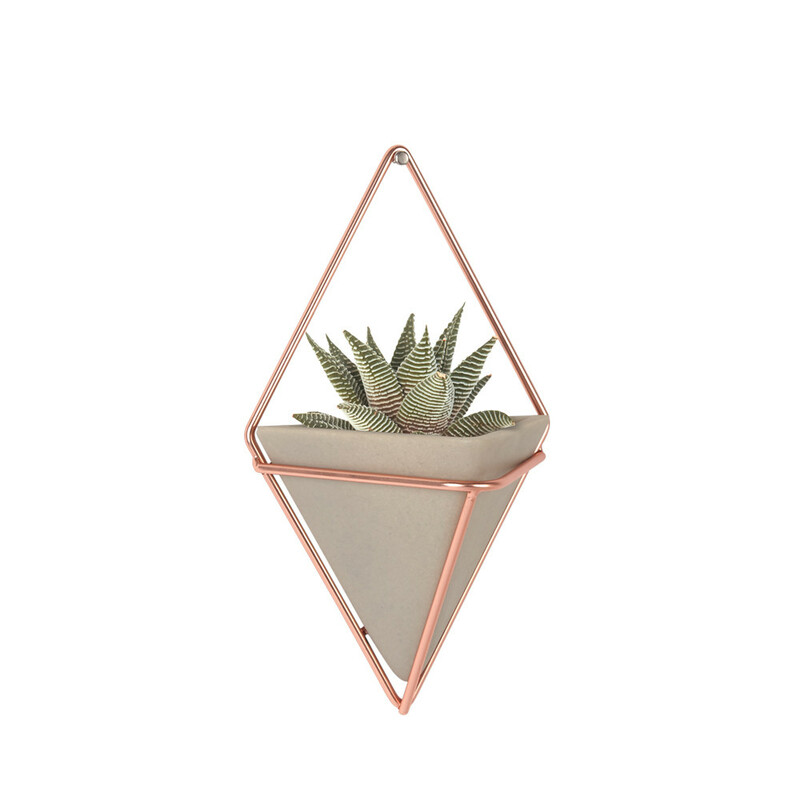 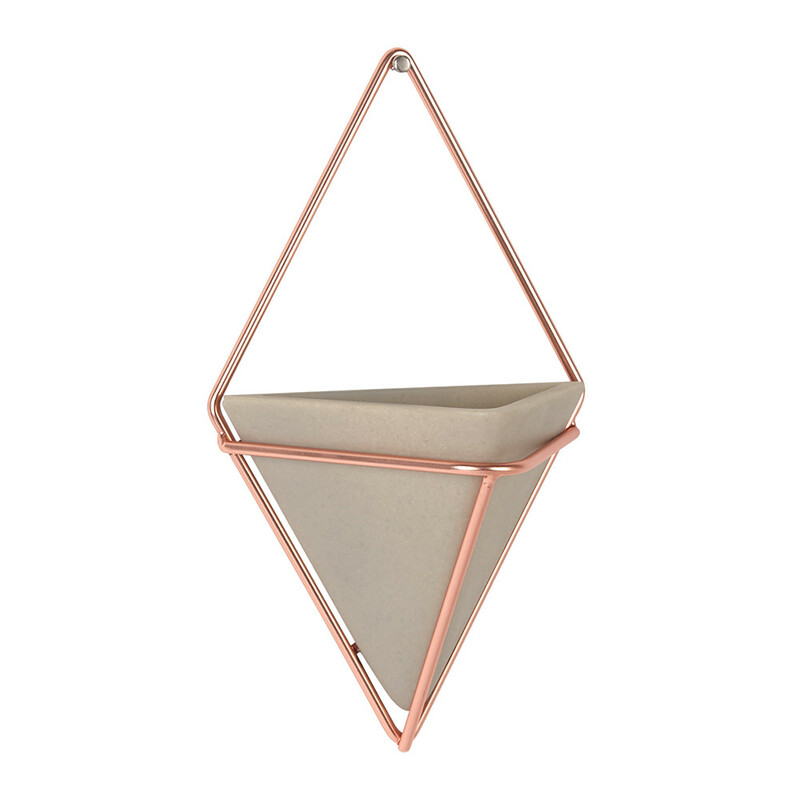 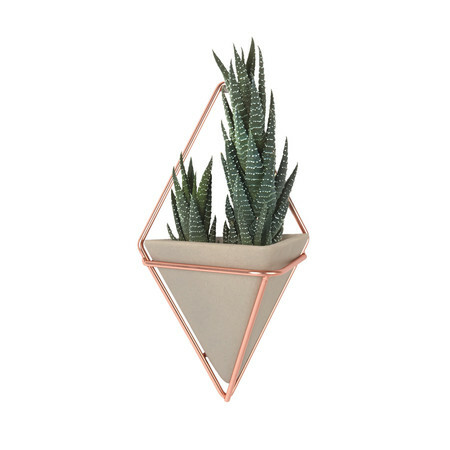 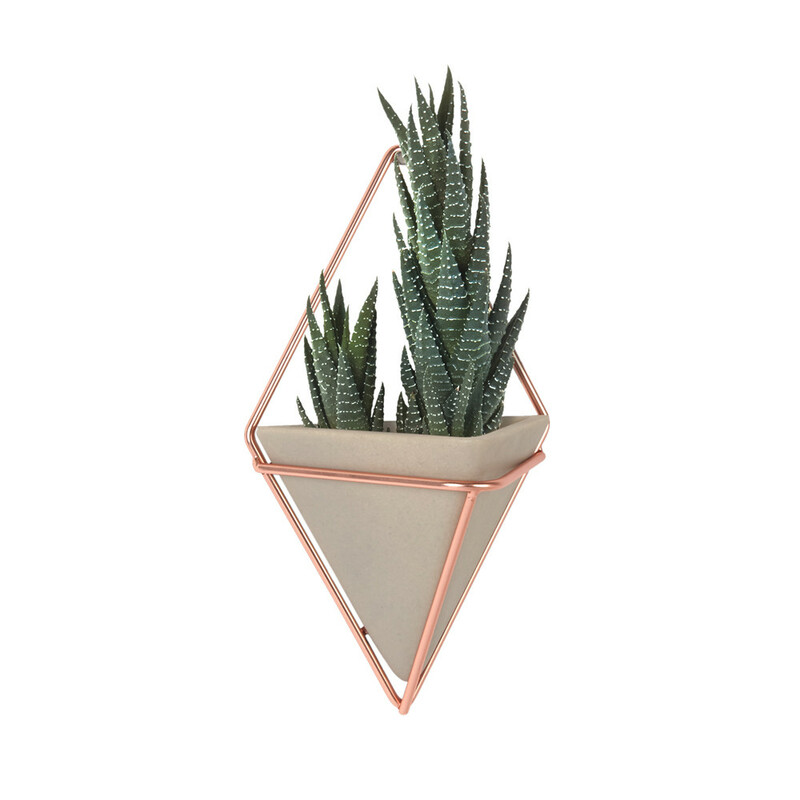 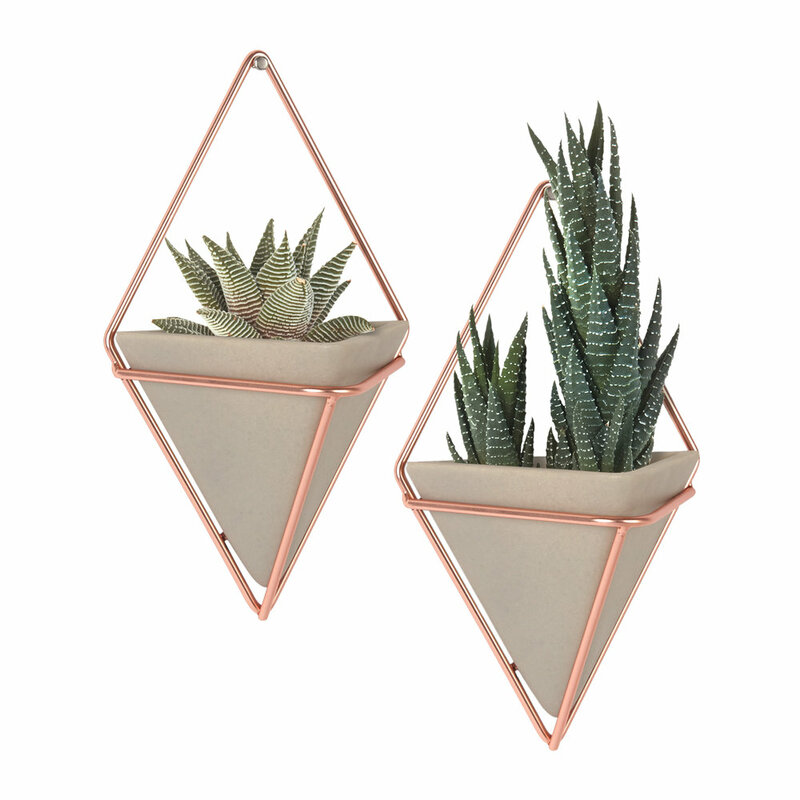 Create striking wall art in your interior with the Trigg copper wall planters from Umbra.